The Sphinx is a super strong and accurate easy to assemble CNC machine. It takes advantage of the inside tracks of the C-Beam linear rail using Xtreme Mini Solid V Wheels and utilizes the top of the rail with full size Xtreme Solid V wheels. Many thanks go out to OpenBuilds member Kyo for sharing this awesome open source design! 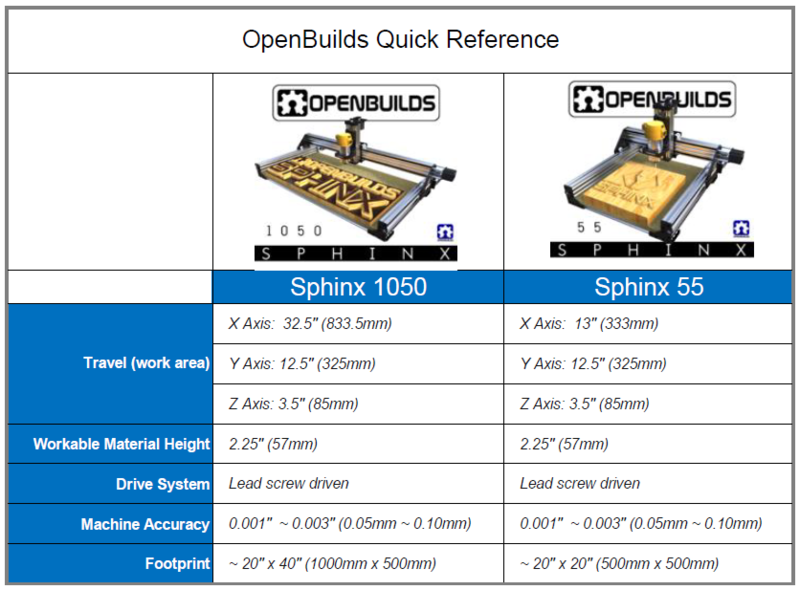 NOTE: Although the original Sphinx and the OpenBuilds Sphinx may look similar the OpenBuilds Sphinx incorporates many changes that make it unique in its own way, so be sure to follow the OpenBuilds Build Video for assembly.